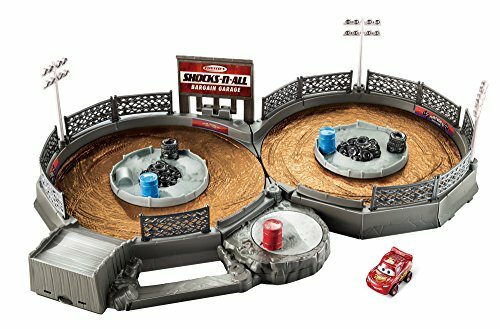 Get thrilling, new Disney/Pixar Cars 3 competition action with this mini Thunder Hollow racetrack. The complete play set includes an iconic Crazy 8 track, derby accessories and authentic background design. Send the racers speeding down the ramp, and into the mud! Watch them try to navigate around obstacles, crash and shoot for the finish line. Loaded with moving parts and a hand-powered knob, you keep the racers going in continuous play. This exciting race set can store everything up inside, too, so fans can take it on the go, go, go! 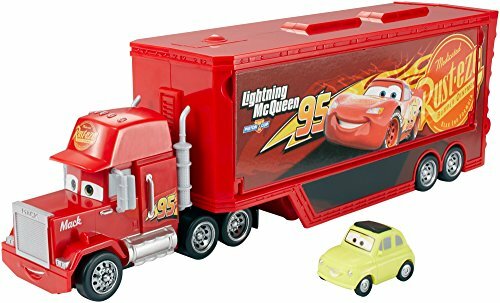 Includes 1 Lightning McQueen mini metal vehicle. Others sold separately, subject to availability. In Disney/Pixar's Cars 3, Lightning McQueen needs intense training to compete with the "Next-Gen" racers. Now fans can join the action with this iconic Thomasville Speedway race set! 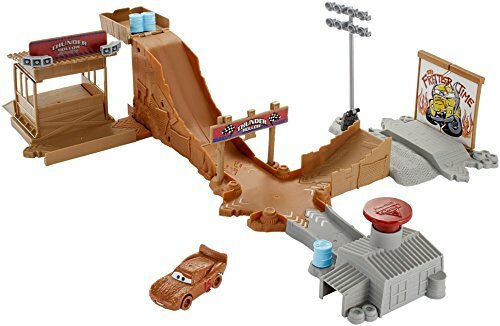 Special features include a launcher, motorized tractor obstacles, themed accessories, a bridge jump, multiple track configurations, and a Lightning McQueen vehicle! Launch, jump, land and dodge the moving tractors! Sharpen your skills with three different ways to train, but beware of the spinning tractors who will crash you off the track! With Smokey's Tractor Challenge Playset, you get Lightning McQueen ready to win the Piston Cup! Other vehicles sold separately, subject to availability. Rev up creativity with Lightning McQueen from Disney Cars! Get ready for race day with the themed tools and 3 cans of Play-Doh compound. Pretend to fuel up the car by pressing a hose with the gas pump, and use the rail to change the shape of the hose. Roll out some smooth, flat Play-Doh pavement with the roller, which also attaches to the car. Pop open the hood and the cabin to find all kinds of fun vehicle customizations such as hubcaps, an engine, and more. After he wins the race, make Lightning McQueen show what he really thinks of his competition by pressing out a silly Play-Doh tongue! Hasbro, Play-Doh and all related properties are trademarks of Hasbro. 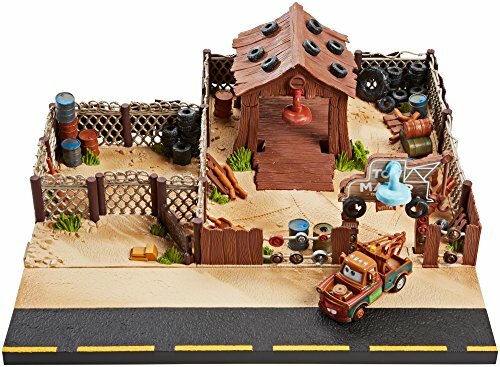 Get ready for exciting stunt and story action with play sets inspired by Disney/Pixar Cars 3! Each features iconic details, epic launchers, side by side racing and single lane stunt jumping! Choose from a variety of key settings like Crazy 8, Fireball Beach and Smokey's. 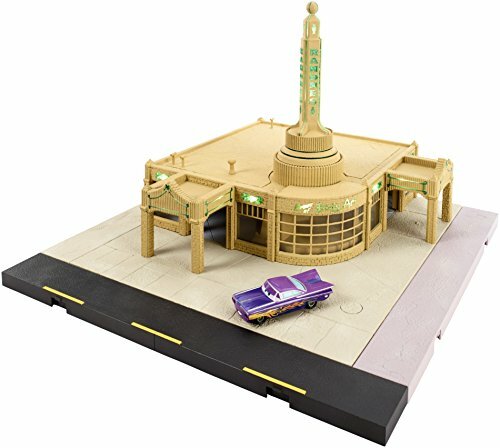 Each set has themed accessories and includes an all-new movie vehicle to start the play right away. Recreate movie scenes and then transform the sets into other configurations for more thrilling ways to play! You can also extend the world of Cars racing fun by connecting these sets to other Story Sets! Each set sold separately, subject to availability. Porto Corsa is home to the second race of the World Grand Prix! On race day, boats carrying racing fans line the Italian Riviera. Close gate on boat, push back and forth on car 3-4 times, load cars, open gate and watch them go! 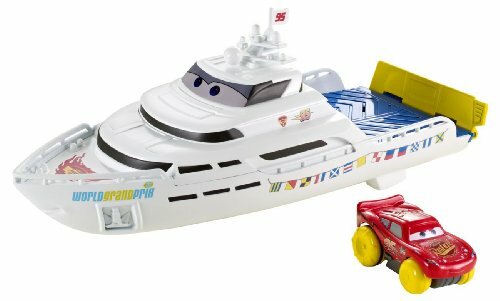 Looking for more Disney Pixar Cars Playsets similar ideas? Try to explore these searches: Fleece Quilted Parka, Greek Wedding Band, and Clipper Organic Everyday Tea. 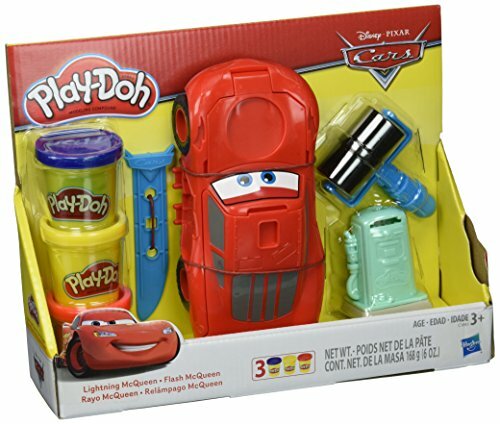 Shopwion.com is the smartest way for comparison shopping: compare prices from most trusted leading online stores for best Disney Pixar Cars Playsets, Injection Equipment, Universal Canopy Fabric, Pixar Cars Playsets Disney . 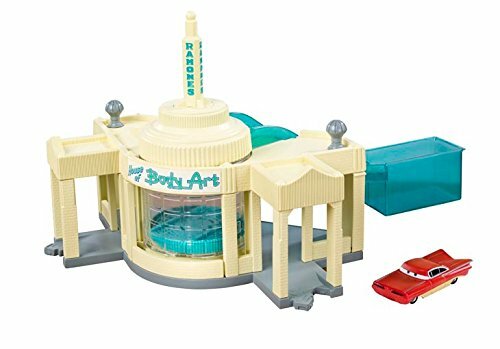 Don't miss this Disney Pixar Cars Playsets today, April 25, 2019 deals, updated daily.